Price: All dollar amounts are USD$ unless specified otherwise, however we also accept CAD$. Subject to change. CAD$ exchange rates are updated automatically using standard e-commerce conversion tools. In this event you will be notified before your order is processed. Final cost may vary world wide due to differences in taxes, duties and shipping costs. Payment Options: We accept VISA, MasterCard, PayPal, cashier’s check, and electronic funds. We generally do not accept institutional POs – please contact Zengar directly for exceptions. Please allow time for paper checks to be received and to clear—which can be up to 26 business days for US banks. We regret we cannot process an order before payment is received. Please note that any currency exchange or foreign transaction fees associated with this purchase are charged by the credit card issuer directly and not Zengar. These charges can range from 1 – 4%, best to check with your credit card issuer for more information. Shipping Charges: Shipping charges vary according to item, destination and service. Charges may be included in the original invoice, or may involve a second, separate charge once costs are known. The items for which shipping is included in the price are so indicated. Please note that all Customs & Import duties as well as any other cost associated with package clearance – which are nothing to do with shipping costs – are the responsibility of the purchaser, whether shipping costs are included in the price of the product or not. When Will I Receive My Order? Orders are typically shipped from our facilities within 5-7 business days after payment is processed. Shipping time (ie. time your order takes to get to you) can vary depending on how long it takes to clear customs. Clients often receive their orders in as little as 7-10 days after leaving our facilities, but it can sometimes take significantly longer. Unfortunately the customs clearance process is 100% out of our control. Duties and Taxes (For All Shipments Being Delivered Outside of Canada): Any package shipped to an address outside of Canada is subject to import taxes, customs duties and fees collected by the destination country, including the USA. These fees, plus any additional charges for customs clearance are the responsibility of the recipient. Sometimes payment will be required upon delivery, other times recipients will receive a bill in the mail (from UPS or FedEx who cleared the package on your behalf or a government agency) after the fact. We have heard of some states in the USA issuing state tax invoices to the client after the fact. Zengar Institute Inc. has no control over these charges, nor can we predict what they may be. Customs policies vary widely from country to country so please contact your local customs office for more information. When customs clearance procedures are required, it can cause delays beyond original delivery estimates, sometimes significant ones. While we work closely with customs agents to provide them with the additional information/documentation they are requesting, Zengar Institute Inc. has no control over these delays, nor can we predict how long delays will be. Cancellations and Returns: Orders may be canceled or returned within 30 days from the delivery date (as indicated by our official transporter) for a refund less a 20% restocking fee plus the cost of replacing consumables (includes sensors) and damaged or missing components. Zengar will arrange shipment through its regular carrier at customer’s expense. Warranties: We cannot guarantee results on any particular central nervous system, but we can and do guarantee the operation of the system. Please contact us within 14 days of delivery if you are experiencing any hardware problems. After that, Zengar warranties its zAmp, other hardware is warranted by the manufacturer. You will need to contact the manufacturer directly if you are having hardware problems. Please contact customer care for contact information if you are uncertain where to call. We are more than happy to assist you. zAmp Warranty: Your zAmp EEG amplifier is warranted by Zengar Institute Inc. to be free of defects in componentry, materials and workmanship for two (2) years. This warranty is extended to the original purchaser and is non-transferable. This warranty excludes zAmp failure due to abuse, misuse and/or breakage, and normal wear and tear relating to the electrode input jacks, belt clip and the USB connectors and cable. Repairs: Please login with ZenConnect for confirmation of repair needed and to start the repair process. Shipping Costs: Zengar Institute Inc. will covers shipping costs for warranty repairs. Sensors Warranty: Your sensors are warranted by Zengar Institute Inc. to be free of defects in materials and workmanship for 3 months. This warranty is extended to the original purchaser and is non-transferable. This warranty does not cover normal wear and tear. If sensors are not properly cleaned after each use they will corrode and the life expectancy will drastically reduce. Failure due to corrosion is not covered by this warranty. Note that sensors are a “consumable” and the more they are used the more often they will need to be replaced. Expect to replace sensors approximately every 100 sessions or every 6 months. Software Configuration Warranty: Your configuration is considered your responsibility to maintain. It’s important to follow Zengar guidelines in this regard so that your system will continue to run optimally. Should your Zengar originating hardware fail in a way that is serviced/ repaired under warranty, and that service compromises your configuration, then Zengar will perform a remote software configuration, via ZenConnect) free of charge, as long as you meet the following requirements; 1) prior to reconfiguration, the system being serviced was running the latest version of NeurOptimal® software 2) the system meets Zengar’s technical specs for the version of NeurOptimal® to be configured 3) your account with Zengar is in good standing. Microsoft offers world wide support for their software products, however hardware servicing is limited to countries with a Microsoft support center (ex. Israel). If your country does not have a Microsoft support center then warranty servicing is more complex. Microsoft suggests sending your Microsoft hardware to a friend or family member in a neighboring country to initiate warranty servicing, however if that is not possible then please contact us so that we can help with the process. Please note any warranty servicing of Microsoft products using a 3rd party (Zengar included) will incur shipping fees in both directions. Courses: Your credit card will be charged at the time of receipt of registration. Cancellation Policy: Zengar Institute Inc reserves the right to cancel any course for any reason. A reasonable effort will be made to cancel in advance and to ensure all participants are aware of the cancellation however, circumstances may not allow for this. Registrants will be given alternative dates to choose from to make up for the cancelled course, or they may request a full refund for the course. In-person Courses: Cancellation by registrant up to two weeks before the start of the course will result in the fee credited less an administrative charge of USD$95 per individual course. With notice of less than two weeks the course registration fee is non-refundable. On-line Courses: Cancellation by registrant – Fee will be credited up to 48 hours ahead less a USD$95 administrative charge. Within 48 hours of course commencement the fee is non-refundable. Registrant may request to move their registration to a different date up to 48 hours prior to the course, one time. Registrants who do not show up for the course they have registered for will lose that course “ticket”. Business Bundle Registrants: Courses are of no monetary value and are therefore non-refundable. They may be transferred to a member of your team/group/agency. Registrant may request to move their registration to a different date, up to 48 hours prior to the course, one time. Registrants who do not show up for the course they have registered for will lose that course “ticket”. NeurOptimal® Purchase Agreement: You are licensing the use of NeurOptimal® software subject to the terms and conditions of the End User License Agreement (EULA) included in the software and by using the software, you are agreeing to the conditions of that agreement. NeurOptimal® is sold on the understanding that you are using it lawfully within your state, province or country and determining applicable laws is entirely your responsibility. Consent Form: A Consent Form must be signed at time of order. You also must have all clients sign a consent form prior to beginning their training with you. Computer Licensing: Zengar Institute offers a carefully configured and standardized platform to ensure the ability to provide high quality and effective support to its users. For this reason, Zengar Institute neither licenses nor supports any system that did not originate from Zengar. Lost, Stolen or “Dead” Laptop/Tablet: Clients acknowledge that when purchasing a replacement unit for an original lost, stolen or “dead” unit, a notarized statement from the police or a local technician is required for our files prior to the new system being permanently licensed. A Note About System & Internet Requirements: NeurOptimal® needs to be connected to the internet in order to launch. There is a seven day grace period, to allow for the occasions your internet is down or you are in an area without internet. Should you expect to be without internet for more than 7 consecutive days, please contact us beforehand so that we can accommodate you. If you’re offline for more than 7 consecutive days unexpectedly, we recommend using your cellular phone as a hot spot in order to launch NeurOptimal®. PASS: All PASS subscriptions are a minimum commitment of 12 months. Annual subscriptions are non-refundable, “unused” portions or time of the annual subscription cannot be prorated or refunded. Cancellation of or failure to pay PASS monthly subscriptions prior to the 12 month minimum will result in the deactivation of any software upgrade obtained via that PASS membership. Please note that no earlier versions of software can ever be loaded onto a system. Some ZenConnect services may be billable to PASS members, please see PASS Terms of Service section below. ZenConnect: When choosing to have Zengar access your system remotely you are giving Zengar or its representative permission to perform any and all operations deemed appropriate by Zengar including downloading files to or from your system. Zengar will fully maintain your system providing no alterations or additions are made in any way by anyone outside of Zengar’s technical team. Zengar will support systems older than three years only at its discretion. The current Antivirus software recommended by Zengar must remain active on the system for us to offer ZenConnect support. 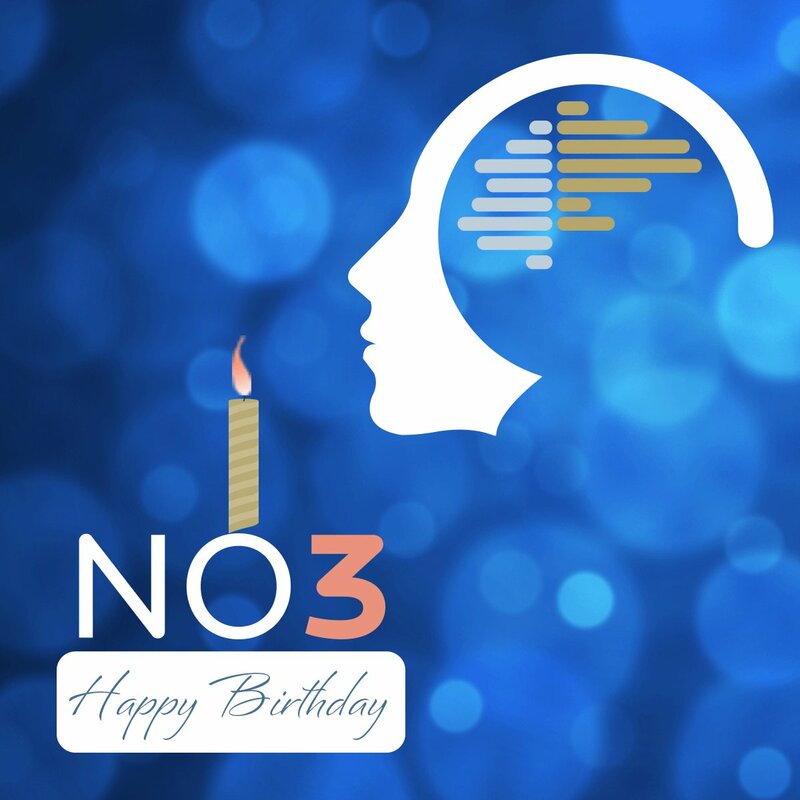 We’re sorry, we can no longer support NeurOptimal®/ NeuroCARE v1.98 or prior due to age and technical limitations. Antivirus: Customer acknowledges responsibility for renewing the annual antivirus protection software subscription recommended by Zengar and that all fees associated with this are the responsibility of the customer. No support of any kind will be offered by Zengar if a substitute to our recommended software is used. Technical Support requirements resulting from failing to keep antivirus updated is not supportable under the PASS umbrella and will be billable. License Transfers: Professional and unlimited Personal (formerly NeuroCARE™ REMOTE) licenses purchased from Zengar Institute Inc. are transferable one time only with the permission of Zengar and carry a $295 administration fee. Unlimited Personal (formerly NeuroCARE™ REMOTE) licenses will convert to a Personal limited license upon transfer with a 50 session count. Personal Trainer limited licenses currently have no limit on number of transfers and carry a $195 administration fee per transfer. Licenses acquired by way of donation, contest or at a deeply discounted rate are not eligible for transfer. Zengar reserves the right to refuse transfer to any particular entity or individual. Please check with Zengar prior to selling your equipment. Any systems as part of a Financing agreement must be paid in full prior to being transferred to a new owner. All replacement equipment must be purchased from Zengar Institute Inc in regard to out dated hardware in need of replacing (tablet, laptop, encoder). PASS Enterprise seats are non-transferable with license transfers. Systems purchased as part of a Business Bundle are not eligible for transfer within the first 6 months from the purchase date and the included PASS Enterprise membership. A Note About Zengar’s Participation in a Private Resale of NeurOptimal® Equipment: Zengar Institute will respond regarding a system’s eligibility for transfer and basic tech information to the best of our knowledge, to any potential buyer via email upon request. Zengar Institute is not responsible for the sale outcome in any manner and assumes no responsibility in the pre and post-sale communication between the buyer and seller or the buyer and Zengar. The sale and purchase of a used system is a private matter between the buyer and seller; Zengar will not negotiate, manage, mediate, advise, take part in what-so-ever nor extend any responsibility for the transaction process, its communications and its results. Export/Import Regulatory Requirements: Customer acknowledges that items purchased from Zengar Institute Inc. (including, but not limited to, software and/or technology) contain significant United States/Canadian content. They are subject to all local applicable laws including but not limited to the Canadian Export and Import Permits Act, and the Export Administration Regulations of the United States, the International Traffic in Arms Regulations, the Office of Foreign Asset Controls as well as all other United States export controls where deemed applicable. Customer agrees that it will not divert, use, export or re-export such items contrary to any Federal, Provincial or State laws within the United States or Canada. Customer expressly acknowledges, and agrees that it will not export, re-export, trans-ship or provide such items to any entity or person within any country that is subject to United States and/or Canadian economic sanctions or embargoes without obtaining prior authorization from the applicable Government(s). Customer also expressly acknowledges and agrees that it will not export, re-export, trans-ship or provide such items to entities and persons that are ineligible under applicable laws to receive such items. ALL DUTIES AND TAXES ARE THE RESPONSIBILITY OF THE CUSTOMER. SHOULD PACKAGE BE REFUSED BY CUSTOMER, OR RETURNED TO ZENGAR DUE TO CUSTOMER ACTION OR INACTION, ADDITIONAL SHIPPING CHARGES ARE THE RESPONSIBILITY OF THE CUSTOMER. Support: Zengar agrees to offer support for current (latest) releases of NeurOptimal® Professional and Personal software on Zengar provided computer systems. Older versions of NeurOptimal® may be supported on a limited basis once it becomes outdated, however no guarantees can be made on outcome of support. NeurOptimal® on computers with noncurrent computer operating systems will have some, limited or no support based on the age of the OS at the discretion of Zengar. Zengar cannot offer support for systems for which OS updates are no longer available by the original OS manufacturer. NeurOptimal® (and NeuroCARE) versions 1.98 and prior are considered “old” and are no longer officially supported. Version 2.0 will be supported through April 17, 2020, unless a windows update or something else outside of Zengar’s control causes it to no longer function on a Windows system. To increase system reliability we recommend using the latest version of NeurOptimal® available. Media: Zengar cannot guarantee NeurOptimal® is compatible with all CDs/DVDs when applicable. NeurOptimal® Software on Windows 10 operating system based laptops are not DVD media compatible. Currently visual media must be file based. Citing Neuroptimal.com Website or Zengar Promotional Literature: We ask that any citations of our website or promotional literature follow the APA standard. If applicable, please insert a clickable link to the original page you are citing, not just the address location. Passages cited should be the lesser of either 300 total characters, or represent a maximum of 50% of the total text on your site’s page. Video Media: All videos appearing on neuroptimal.com and all Zengar managed YouTube channels are the copyrighted works of Zengar, and may not be downloaded or republished. You may share videos with YouTube’s native share options for direct stream via the originating Zengar/ NeurOptimal® YouTube channel. Here’s how. PASS Preview is a “lighter” version of PASS provided to new purchasers at the time of their purchase. Trainers may replace their PASS preview membership with a full PASS membership at any time throughout their PASS Preview membership. See our membership section for most current information re: what is and is not covered under PASS Preview. PASS Enterprise offer PASS coverage for up to FIVE different devices (all under the same individual or company name). The membership begins and terminates on the same date across all devices, no matter what date each device was purchased or officially added to to the plan. Individual seats are not transferable with the resale of your system. Users of the most current version of NeurOptimal® Professional or Personal are eligible for membership (users of earlier versions must upgrade prior to seeking membership). Which Systems Are Supported Under the PASS Technical Support Umbrella? Your NeurOptimal® installation must be on a supported system, approved by the technical team, via ZenConnect. The owner may allocate a representative to stand in their stead. NeurOptimal® Representatives’ PASS memberships are for their personally owned systems. Representatives’ users must purchase their own membership for their systems to be supported. Discounts are intended for those that are eligible, to enjoy for their own private use. Discounted sales (PASS discounted or volume) may not be resold for an amount or quantity that undersells neuroptimal.com. Zengar Institute Inc. always reserves the right to offer membership and to refuse membership entirely at its discretion, at any time. Should Zengar Institute Inc. (or its representatives) elect to terminate a membership, the user will be reimbursed for the time remaining after the 12 month commitment is satisfied, less their membership months calculated at the monthly rate. So, if the individual pre-paid for an additional year and were asked to leave PASS after 4 months, their reimbursement would be the annual fee minus (monthly fee x4). Privacy: The contents of PASS are private, and this privacy for all members is taken very seriously. Information and resources enjoyed as a result of PASS membership are for the member’s own use only. While we certainly understand the process of sharing information with an interested significant other, please understand that under no circumstances can these resources or information contained therein be circulated in any manner, shape or form. Please do not post any PASS materials on any website. Free Technical Support: Systems originating from Zengar, fewer than 3 years old qualify for PASS technical support. Hardware issues (excluding zAmp) must be dealt with directly with the manufacturer. We can try to diagnose hardware issues, but in some cases a local technician may be required or the computer or zAmp may need sending to the manufacturer for diagnosis & repair. Technical Support is offered via Facebook Group, ZenConnect and email (support @ neuroptimal . com). Telephone support is currently offered during certain hours while on with ZenConnect for PASS members only. In no case can we help with local internet connectivity or speed issues. Under no circumstance is Zengar to be held accountable for loss of time, income or clientele. If you are a trainer by profession we strongly advise incorporating redundant systems into your practice and obtaining business interruption insurance from a third party vendor. Please refrain from having any technician other than a Zengar technician work on your system. ZenConnect’s incurred after an outside technician has worked on your system may be deemed billable. Programs not included with the NeurOptimal® system as configured by Zengar should never be installed on your system. These “other” programs may interfere with and inhibit NeurOptimal® performance and is therefore not recommended. We also do require that you keep an up to date version of our only approved Antivirus product installed and active on the system at all times. Please update Antivirus as often as prompted. ZenConnect time spent uninstalling unapproved or extra software is always billable, so please do your best to keep your system clean. Find-a-Trainer Listing: As a PASS member you may request to be listed on our “find-a-trainer” page. You will be required to have completed the Basic Certification course, and your membership will need to be in good standing. Zengar reserves the right to remove anyone at any time for any reason. Reasons Zengar may consider removal of your listing include theft of others’ IP (don’t steal website content from others without permission), customer complaints about your services or conduct, reports of misrepresentation of the NeurOptimal® brand (we are not a medical device, and therefore do not treat or diagnose. We do not make any therapeutic claims about the effects or outcomes of training with NeurOptimal®). Annual Membership: Upon signing up for PASS, you are committing to an automatically renewable contract (min 12 months). Your membership will continue on a month to month or annual basis after the initial 12 months, but you can cancel at anytime. Only should you cancel and then re-join will you need to complete the initial 12 month commitment again. You can prepay for a year at a discounted rate or you can pay on a monthly basis at the regular fee. To pay on a monthly basis you must provide a credit card that is valid through the duration of your membership. Membership will be suspended after three declined attempts. We’re sorry, no credits are issued for cancelled memberships and payment in full is required for any outstanding balance. Software upgrades obtained by PASS memberships that become cancelled or suspended prior to the 12 month commitment being met will be deactivated. Internet: PASS members must avail themselves of a reliable internet connection (5Mbps+). Our ability to provide you with remote technical support depends on the quality of your internet connection. Please note that wireless connections can drop which will result in ZenConnect disconnection, so do use a wired connection if you have one. System Specs: To have your system covered under PASS, your system must be “up to spec” to run the current version of NeurOptimal®. This will be assessed at the initial ZenConnect. You will be advised of issues we detect, which you may or may not be able to rectify. Please understand Zengar Institute Inc. may not accept your system for coverage or maintenance under this program. Loaner Service: We do our best to assure you receive quality hardware, including extensive testing of your personal hardware prior to delivery. Occasionally hardware can eventually fail, and these always need to be repaired off premises. We know the upheaval this can cause a business in terms of client cancellation and down time so we offer, exclusively to our PASS members, a special loaner service to help keep down time to a minimum. Once the need for loaner equipment is confirmed we will ship it out to you, often on the same day. Shipping is the responsibility of the PASS member, so best to calculate the shipping costs vs. cost of downtime when making your decision re: whether to request a loaner or not. Please note that every effort has been made in this document to convey accurately both the rights of a PASS member as well as the responsibilities. Zengar Institute Inc. reserves the right to amend, add or delete items as necessary, at any time as a consequence of wisdom gained through experience with PASS. Any user applying for membership is assumed to be knowledgeable of, and in agreement with, the above terms of service. What Is the Ambassador Program? Zengar is aware that many systems are placed as a result of people being introduced to NeurOptimal® from our existing trainers. Sometimes a client of a trainer will decide they wish to purchase a system, or a colleague or friend. The Ambassador program was developed as a thank you to our trainers for working with these individuals, spreading the word about NeurOptimal® and bringing new clients to Zengar. By being named by a new user as a person that helped them make their decision to purchase, the Ambassador can earn up to a 10% Ambassador Fee. The Ambassador program is a great way for existing full PASS members to share their knowledge and supplement their income. Who is Eligible to Be Part of the Program? The Ambassador Program is open to all PASS members. This excludes PASS Preview members. What Products Does the Ambassador Program Apply To? NeurOptimal® Professional Bundles and NeurOptimal® Personal Trainer Bundles. To Whom Can the Ambassador sell? To any individual who is not currently a customer of Zengar (new trainers), to whom a legal sale may be made. Please note – the sale must be to a genuine new user who is not professionally associated with you in any way, nor can the system be placed to the same household or business address. This includes selling to a company name with which you are associated, a family member or friends in the same household. Ambassadors may be banned from the Ambassador program if discovered to have attempted any of the above. If you’re not sure if you qualify please don’t hesitate to contact us at [email protected] with any questions. How Do I Get Recognized as the Ambassador for a Particular Sale? The PASS member is only considered an Ambassador for a particular order when they deliver the purchase order (fax or online shopping cart) to Zengar or have their name submitted by the client at the time the order it placed. Regretfully, we cannot compensate a PASS member whose name is not submitted at the time of the order. A potential purchaser may contact a number of trainers out of their own due diligence to speak to them of their experiences of the system, it is up to you to decide whether you wish to spend time answering the persons questions or not. Remuneration: The PASS member who successfully places a system with a new user and whose name is indicated at the time of order will be remunerated up to 10% on any Personal or Professional Bundles of the collected purchase price dependent on the product introduced and placed. This percentage is calculated on the base purchase price (after any applicable discounts or promotions) and is exclusive of any taxes, duties, shipping or other extraneous costs that may be added to prices to facilitate the sales process locally. These are always calculated on the base price in USD, even though prices may be converted into currencies locally. If Zengar refers a client to an Ambassador, the remuneration will be reduced to 5%. If more than one Ambassador is named on a sale the fee will be divided equally among all Ambassadors. Payment: Payment is made via Paypal or may be credited to your Zengar client file, to be used toward future purchases. After the new client submits their order listing you as their ambassador you will receive an e-mail from Zengar letting you know that you have been named as an Ambassador along with the necessary details of the order. In order to receive payment please send an e-mail to [email protected] within 30 days of receiving that e-mail that clearly indicates your name, client name, “Ambassador Fee” amount and the e-mail address linked to your paypal account. Should the customer opt for in house financing remuneration will be made 3 months from the sale date or at the time the 3rd payment is made, whichever is later. Should you prefer to hold the funds as a credit toward future purchases with Zengar please indicate this in your e-mail. Ambassador fees may not be applied to the sale invoice- they are fees available for collection only by the rightful ambassador of a qualifying NeurOptimal® product sale. Should the Ambassador be past due on any Zengar account the Ambassador fee will be applied toward that balance. Should the Ambassador currently have an in-house financing balance, the ambassador fee will be place in a “ZenCredit” account. The ambassador can then use these funds to pay for future financing installment payments, other Zengar purchases or receive as payment when the financing term is completed and in good standing. Returns: Should the client return the purchased system to Zengar for any reason, the ambassador fee will be reimbursed to Zengar within the following 30 days. Failure to provide the reimbursement within that 30 day period may result in PASS benefit access being denied and Ambassador status suspended. Limitations: An ambassador may not offer a sale price differing from the www.zengar.com price (non-PASS discounted). Rebate incentives are not permitted. Ambassador Fees are offered on new clients first invoice only and not toward any subsequent purchases at a later date. Regretfully, an ambassador cannot be compensated for a sale that does not list them as the ambassador at the time of purchase. We suggest you aid in the placement of the client order to ensure you are named as the Ambassador or explain the importance of including your name to your client. Limitations to the final eligible Ambassador fee on bulk purchase agreements may apply. The official language used for the NeurOptimal® software as well as the content of the Zengar Institute Inc. website and communications between Zengar and clients is English. A free translation service provided by an app called Microsoft Edge Translator is available through the Microsoft App store that offers immediate translation of our web pages. Computerized translations are only an approximation of the website’s original content. The translation should not be considered exact and in some cases may include incorrect or offensive language. Zengar Institute Inc. does not warrant the accuracy, reliability or timeliness of any information translated by this system. In addition, some applications, files or items cannot be translated including graphs, photos or portable document formats (pdfs). Any person or entities that rely on information obtained from these systems does so at his or her own risk. Select forms and files are available in certain languages in our PASS section. These forms and documents were translated by a translation service and should be accurate. If you find a problem with one of these forms, please contact Lydie Lavigne at [email protected]. All terms & conditions are subject to change without notice. This page is for reference only.